Personally, I take watches as great investments. In fact, I spend most of my time searching for great watches that I can purchase. Although they are not really a part of my collection, watches are great additions to enhance your overall appearance and style. Recently, I was checking out a certain Seiko 5 Review because Seiko is making a lot of noise in the market today. So, I thought, why not give it a try, right? To my surprise, Seiko is really taking their business seriously! I mean, their mechanical watches alone are quite a vision. So, I rushed to the nearest store to check their watches. Now, if you are interested (just like me) to buy a Seiko 5 watch, especially the SNK809, this watch review may help you out! I have included all the important details that might help you in deciding whether this watch is appropriate for you or not. 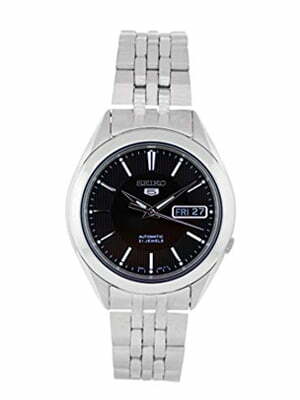 The Seiko SNK809 Seiko 5 Automatic Watch is quite simple. I would rather use the word “simple” than “minimalistic” because this watch is ultimately simple. And although simplicity could mean negative things for some, others, however, would take it as a good thing. As for me, it really depends because I consider a lot of factors before deciding if a certain watch is great or not. And I suggest that you should too! As what I have mentioned, I take watches as investments. So, it is really fitting that I consider every aspect and feature first before making a purchase. This is pretty classic. As I mentioned, this watch appears to be very simple. And I find it classy and sleek due to its overall simplicity. 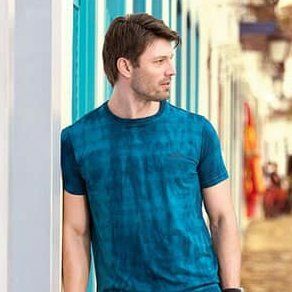 Accordingly, it is very easy to wear and match with your looks and style. Technically, this is a military style watch. 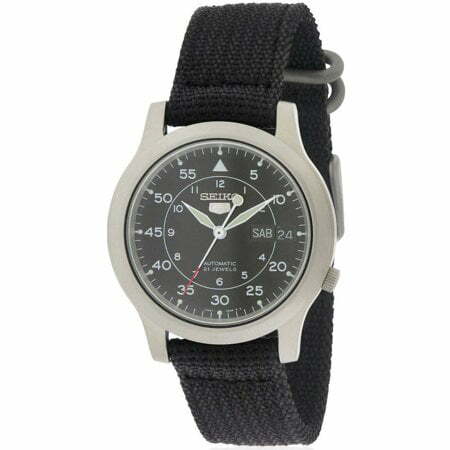 In fact, as per the Seiko 5 Review that I was reading a few days ago, many people from the army wear this watch. And yes, it may appear very classy but it is largely designed for everyday usage. Accordingly, this is why I don’t really recommend this watch to be worn on formal events. But even so, it would essentially depend on how you would mix and match it with your clothes and appearance. As for the dial of this watch, it appears to have a monochrome framing. And this is mainly the responsible factor that provides the overall simplicity of the appearance. Also, the color tones used on its dial are white and black. The minute and hour hands are both in sword shapes. As for the second hand, it is in a mini-straight line that passes through the middle. It also uses Arabic Numerals in its hourly indicator. However, it is very small and located in the inner circle of the dial. The ones that you would see in the outer circle of the dial is the 5-minute interval indicator. Although I am not really fond of this specific design, it is still a factor in its overall simplicity. Another thing I like about this is that the watch appears to be very flat. The only things that have depth are the minute and hour hands. Hence, I find the dial and case pretty much fitting for users who have small hands and arms. Some may say that this a minimalist type, but personally, it is not. There is a huge difference between simplicity and minimalism. If you want a minimalistic style, I suggest that you take a look on the Seiko SNKl23 Seiko 5 watch because that is, for me, the minimalist type. This features 21 jewel style movement. If you are looking for a watch, this is one of the most important factors that you need to consider. In fact, if you would read a few Seiko-5 Review posts, you would notice the highlights in the number of jewels. Apparently, the jewels, if we are strictly talking about watches, are not really precious gems. These jewels are actually tiny and synthetic stones that are used as bearings in the movements of a watch. In terms of values, the more expensive a watch is, the more the number of jewels is present in the watch. Accordingly, these jewels are mainly the responsible ones for the accuracy and reliability of the time and day date indicators. In this case, it uses 21 jewels to support its automatic movement. And this is a pretty significant number for a watch. You could say that this model from Seiko is pretty much precise when it comes to indicating the time and date. Also, keep in mind that the SNK809 is mainly an automatic watch (in fact it's one of the best automatic watches). 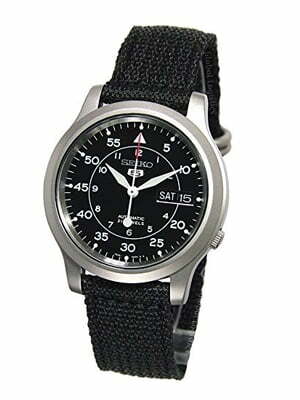 But, it is also considered as one of the mechanical watches of Seiko. And because of these features, the power reserve is much more highlighted in this watch. In fact, it comes with a 40-hour power reserve in totality. The more you wear it, the more it provides accurate time and day date. This means that the watch does not utilize the battery when it is worn by the user. The materials used in the construction of the Seiko-SNK809 are Hardflex Mineral Crystal and Stainless Steel. By and large, these materials are always seen in every Seiko-5 Review that has been posted online. And this is all because Seiko is known to utilize only these materials for their watches. The Hardflex Mineral Crystal is used in the dial window of the Seiko-SNK809. This is the reason why the dial window is very durable and scratch-resistant. Unlike other watches that feature a Sapphire Crystal in its dial window which is less durable, Seiko ensures its users that durability is largely attained in their watches. As for the casing, this watch features a full 317 stainless steel. The case has a size and thickness of 37 mm and 11 mm respectively. 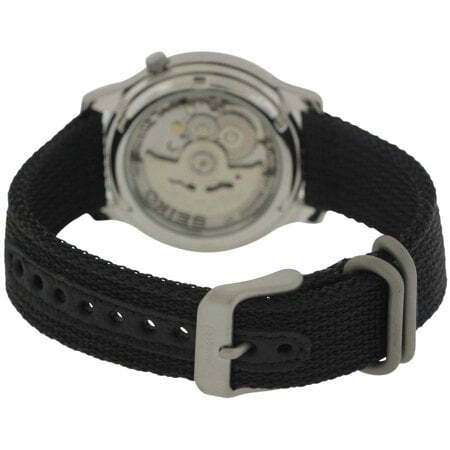 Also, it is in a black finish to complement well the color and shade of the canvas strap bracelet. The canvas strap band has a total width and length of 18 mm and 7.75 inches respectively. It is highly adjustable so that it can fit the user well. I tried to wear it the first time I saw it because I have a large type of body frame. This means that my bones are quite too big. Hence, I always tend to have issues with canvas strap bands! And upon wearing it, I did not meet any challenges in adjusting the strap band. So, that is a good point for me. Before I wrote this Seiko 5 Review, I made sure that I knew all the details of the watch that I am writing about. Well, I did not purchase the SNK809 that I found last time. But fortunately, I have a friend in the industry who owns one. And so I did try to test the features of this watch. Apparently, Seiko markets it as a great additional tool and gear for people who are very much fond of different water sports. Obviously, this means that the watch is equipped with water resistance applications. However, if you're an athlete, you might want to look at a triathlon watch instead. Also, many of the Seiko watch review posts that I’ve read highly recommend it due to the efficiency and effectiveness of the said feature. It is true that the water-resistance applications of this watch are quite effective. The capacity is actually applicable up to 100 feet or 30 meters. However, 100 feet may seem too significant but apparently, it’s not. In fact, it can only handle splashes of water and drops of rain. Anything bigger or larger than this, it would already produce moisture and affect the inner part of the dial. Aside from the apparent features mentioned above, I noticed a few minimal features that really enhance further the overall quality and appearance of the Seiko SNK809. 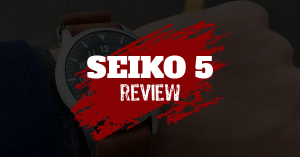 And I would love to point it out here in this Seiko-5 Review since I wanted you to see this watch the way I see it firsthand. Firstly, Seiko SNK809 Seiko 5 Watch features a recessed crown. What makes it unique is that the positioning is very unusual. And it is actually located at the back of the 4 o’clock position. Apparently, this enhances the overall simplicity of the appearance. Secondly, you can choose the language of the day date feature. And there are two options - English and Spanish. Accordingly, it is very easy to change the language preference. And you will only need to adjust the recessed crown. And thirdly, the markers in the dial are printed and inked using a modern Lumibrite paint. This kind of paint actually enables the indicators and markers to appear very luminous, especially in dim and dark areas. Hence, it will be very easy for users to read the time, day, and date. Also, the Lumibrite paint is an eco-friendly type of luminous paint. And this is very different from the old luminous paints that most brands of watches use in their respective products. 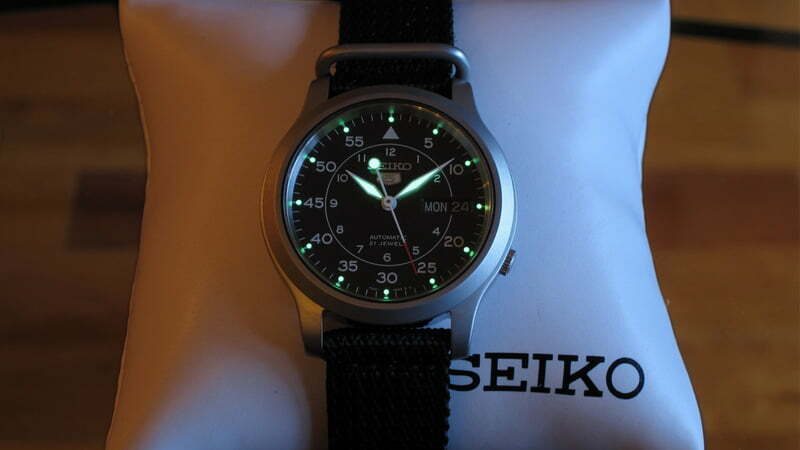 Another thing that I love about the SNK809 Seiko 5 Watch is its overall cost. You can actually purchase this package for a price that falls below $150. And if you ask me, this price point is quite a steal considering all the features and functions of the said watch. Well, the 21 jewels alone of this watch is already surprising when the price is the subject of conversation. Also, when you purchase this package, you will get to have the watch along with the CR2 battery pack. Moreover, there is a warranty card and a manual instruction inside the package. 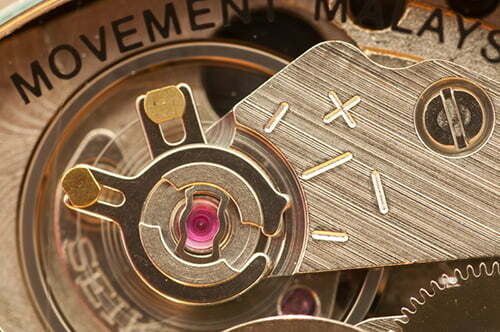 And you could learn a lot more about the watch and its functionalities through this manual. There are users and reviewers who mentioned that they received a watch storage unit as well inside the package. 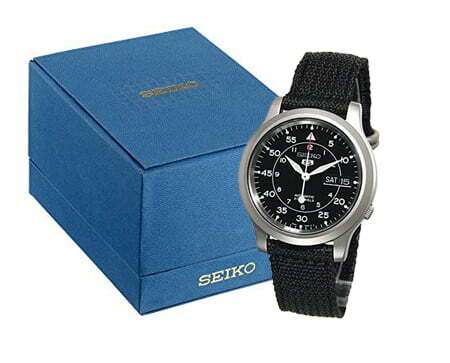 I learned that the first release of the product, Seiko included this specific accessory. But today, it seems that they have already omitted the watch storage unit in every package deal that they offer in the market. The watch storage unit is very helpful in configuring the accuracy and precision of the watch, especially when not worn. But even so, just by wearing this automatic watch, it will already do the trick. As I have mentioned earlier, if you are looking for a minimalist style of Seiko 5, you may want to check the SNKL23. Apparently, many Seiko 5 posts of today would largely compare these two models. But I really don’t get the idea of comparing the two since both models have their own distinct beauty and elegance. Nevertheless, I take the Seiko SNKL23 much more manly when it comes to its appearance. Moreover, it uses mainly a stainless steel even on its band. So, users may utilize and match the watch even on smart casual clothing. 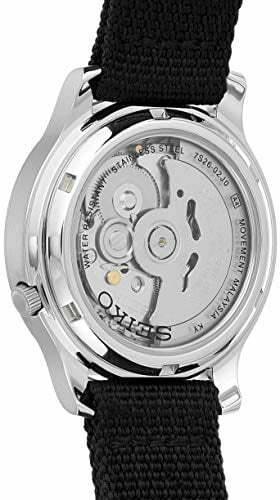 But while the Seiko SNKL23 is much inexpensive than the SNK809, keep in mind that the latter model features the precise 21 jewels automatic movement system and the former does not. So, I think that’s mainly the reason behind the price differences. Is This Watch Best For You? Given all the features and functionalities of the watch, it is pretty safe to say that this watch is made from the finest qualities. And some of these features are really impressive considering the range of its price point. But even so, there are still a few watch lovers and enthusiasts out there who do not really take this as the best watch for them, just like me. As I have mentioned, I have a large body frame, so the size of the watch, especially the dial is not very appropriate for me. In fact, most of my watches are really huge. And if you are just like me who have big bones, this may not be the best watch for you. But I just have to point it out that adjusting and using this watch is very easy and convenient. And if the size is the only factor that you are considering, then I suggest that you think twice or even thrice before closing the doors for the SNK809. Also, if you are looking for a watch that can match your formal attire or even your semi-formal clothing, this is not really the most appropriate watch to buy. On the other hand, if you are looking for a watch that you can use on a daily basis, whether you intend to stroll around the neighborhood or have a casual date with your friends, this may be the appropriate watch that you are looking for. Furthermore, if you are the type of person who loves to do outdoor activities, especially the ones that would involve water, It may not be the best option. Although it is a water-resistant type, it does not have the capacity to fully support your water sports like diving and swimming. But even so, it is mentioned in some Seiko 5 blogs that a lot of outdoor enthusiasts utilize this watch on a daily basis including outdoor events. Hence, it is largely up to you to take this risk or not. Also, I suggest that you really inspect first the watch before purchasing it. In totality, It is a really great watch. Not only that it is very affordable and inexpensive, but it also has features that are normally seen on much more expensive brands and watches. I take it that Seiko is pursuing genuine simplicity in their SNK809 model. And consumers who are really fond of simple yet fully-functional watches, this package is quite a steal! So, if you are one of these watch lovers, then I suggest that you consider this watch already. Although it has its downsides as well such as the water-resistance applications, these things are very workable. Moreover, it has features that are much more interesting and appealing than its apparent issues and drawbacks. Now, I hope this Review of mine would help you in making your decisions. In the end, it is your preferences that will matter. You certainly know what would look best on you. And you also know what would not. So, be wise in making your decision because, again, watches are not only fashion tools and accessories, they are investments. Hi, I’m Nicholas, owner of NanaDC. Because of my fascination with the advancement of technology and durability rolled into a single timepiece, reading about different (mostly military-style) watches became my hobby. Through these newly-acquired info, I realized that the kind of watch you wear throughout the day, or even your entire life, could greatly affect how you live your life on a daily basis. By helping you make an educated decision on what watch to buy, I’m changing your life.